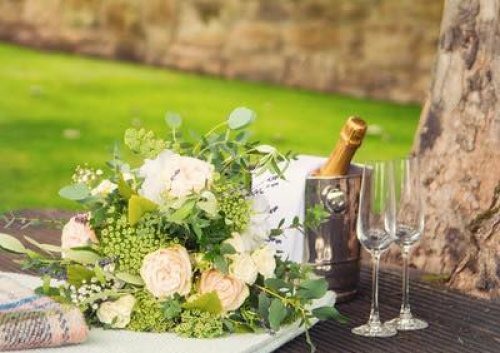 Stanton Hall Gardens are the perfect venue for rustic, relaxed weddings. Located just 5 miles from the market town of Morpeth, Stanton Hall is set in 10 acres of beautiful mature Northumberland gardens and is home to a plant nursery which is open to the public during the summer months. For those couples looking to design their own country wedding Stanton Hall can provide a variety of options from simple hiring of the Wedding field to the use of either the Wedding Barn or GinGan or if you need - all three! We hold weddings in the months from late April to September. Weddings at Stanton Hall allow couples to design their own dream day. We provide the location and you provide the rest so, if you have the perfect caterer you want to use or really want tipis, sailcloth tents or a marquee we have the flexibility to make you individual ideas happen. We have local contacts that we can recommend if needed to help you in your planning. Couple can design the look and theme of their wedding but if you need a helping hand we can provide additional hire of trees, hanging baskets and fairy lights. We also have a small collection of rustic table mats, wooden tables, slate signs and various other gardening inspired items available to hire - just contact us to discuss any requirements.